Which features of the Best Shopify Dropshipping App help your business grow? Thinking about starting a not-so-difficult yet a really-profitable-business? 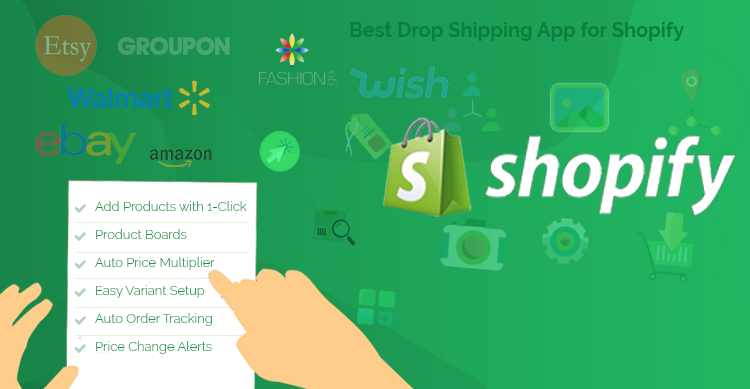 – Choose dropshipping with Shopify using the best Shopify Dropshipping App to automate tasks! Creating your eCommerce site is simple if you start using Shopify. Shopify provides you ready made platform and plethora of themes / apps to enhance the looks and feel along with the functionality. Due to this ease of business operations, Dropshippers mostly prefer to launch their site in Shopify with some must-have apps.